Need some badass lady bikers for your army? 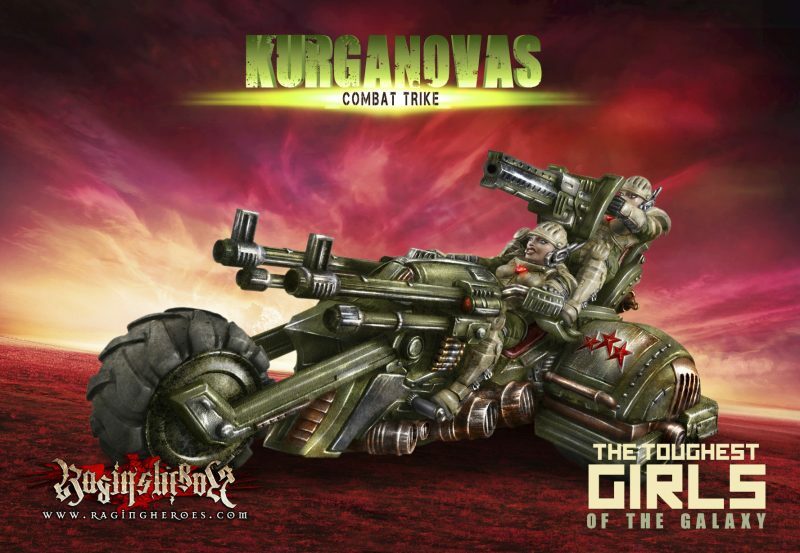 Raging Heroes are proud to finally release their very popular bikes and trikes from the Toughest Girls Of The Galaxy. 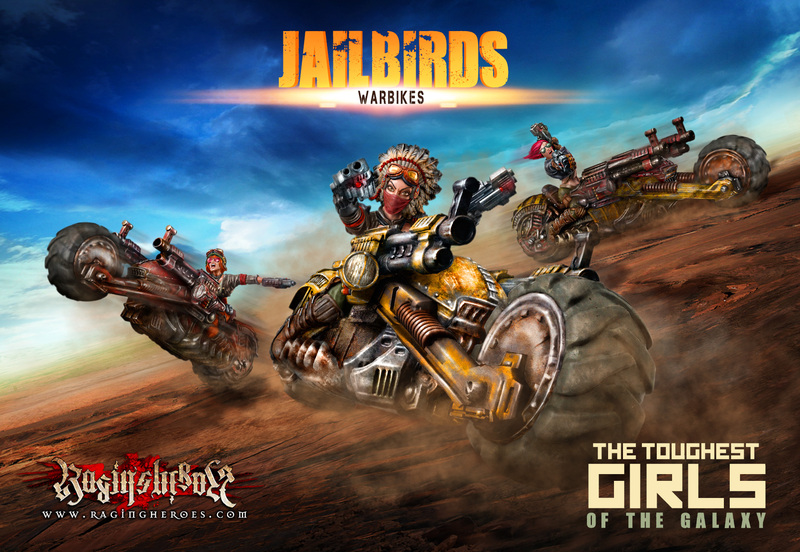 The Iron Empire, the KST and the Jailbirds all get their very own Warbikes Squad and Combat Trike. Available here! 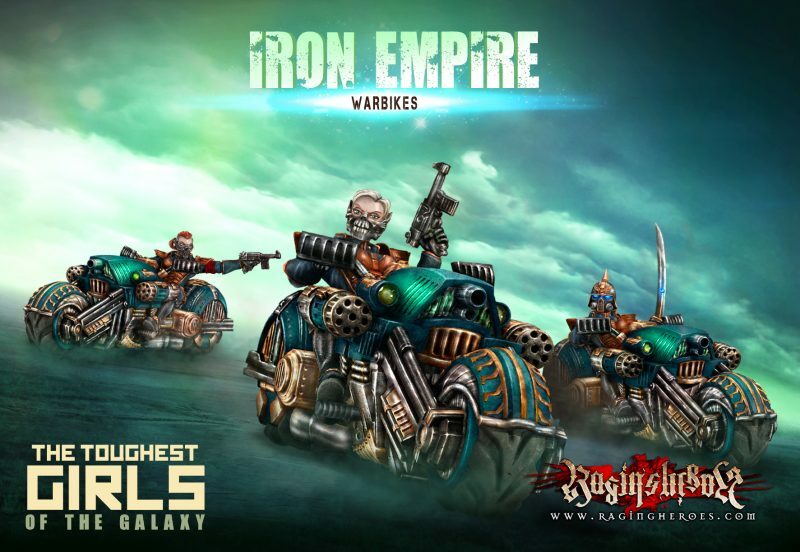 Warbikes Squads includes 3 motorbikes with 3 different riders, 3 extra heads and 3 extra arms, while the Combat Trike package features one trike with 2 different riders. Their head and arms use the same customisable ball-joint assembly as the other TGG minis (e.g. troops, bikers, etc. ).